Riace is a municipality of about 1,800 inhabitants in the south of the Calabria region in Italy. This small town bases its economy on farming and fishing. During the post-war period it has been victim of a gradual depopulation as most inhabitants moved to northern Italian cities looking for better working conditions. 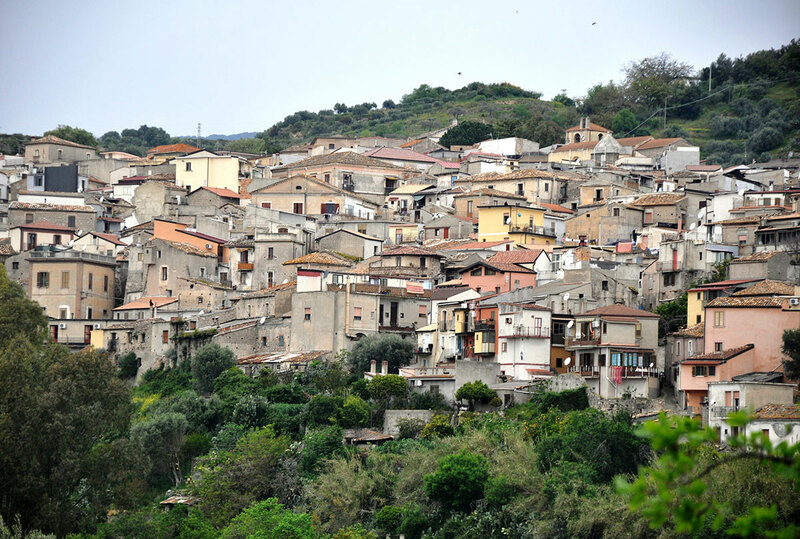 During the economic boom, Riace was nothing more than a ghost city, with hundreds of houses abandoned. In 1972 Riace reached worldwide attention after two ancient Greek bronze statues, better known as Riace’s Bronzes, had been found in excellent condition in Marina di Riace. Since that day, the bronzes have been located in Reggio Calabria, at the Magna Grecia Museum, and the tiny, hilltop town of Riace seemed to remain nothing more than glory. Back to present day, Riace is now praised as an example for Italian and international community. The mayor of Riace, Domenico Lucano, has been named by Fortune as one of the world’s 50 greatest leaders in the world, together with Pope Francis and Justin Trudeau. Why? We need to go back quite a few years. In 1998 a group of Kurdish refugees arrived at Riace’s shores, seeking asylum in Italy. They were fleeing violence and repression in their country and they didn’t speak any Italian. More than six thousand people have arrived to those shores since then, and this has created a great challenge for a small town of about 1,800 inhabitants with a high rate of unemployment. The mayor of the town, Domenico Lucano, decided to set up a scheme funded by the Italian government with a focus on integration. “Città Futura” was created, an association whose purpose was to change the local immigration policy and help refugees without treating them as a burden on public welfare. As Città Futura demands, Lucano assigned the abandoned flats to refugees and provided them with professional training. He then created jobs and allowed them to work principally as artisans or workers in the social field. Nowadays, 450 refugees and immigrants live in Riace, and many Ethiopian, Cameroonian and foreign families have decided to move and raise their children there, who can now speak fluent Italian. As it can be read on the municipality’s website, Riace hosts 15 refugees and 14 minors who belong to the asylum-seeking integration system (known as SPRAR in Italy). In 2015, the refugee crisis cost the Italian government 2.5 million euros, and 51% of these funds have been spent on shelters, and only 20% was used for health assistance and education for refugees. Meanwhile in Riace, mayor Lucano truly believed in his idea and has created four artisan laboratories for the modelling of woods, glass, ceramic and embroidery, and he is planning to open other laboratories for chocolate production and weaving. Refugees and migrants receive health assistance, education, fundamental necessities goods and a house, among the ones left empty by former inhabitants. The project has received and continues to receive European funds, but sometimes this funding can be delayed; for this reason the mayor has decided to create a specific currency, that the migrants can spend while they are waiting for the funds. After decades of emigration, most citizens are deciding to remain in their hometown. Hundreds of refugees and migrants from afar are also deciding not to move on further into Europe, but to remain in Riace, a city where everyone has an opportunity.